Marco de Medici, a Florentine nobleman, cuts through a moonlit alley and stumbles upon a woman being attacked. He springs to her defense and is stabbed for his efforts. Susanna d'Angelo, a widowed midwife, feels obligated to care for her mysterious defender. A budding friendship blossoms into love. Marco keeps his family name from her, wishing to be judged on his own merits while Susanna has her own secrets. Facing a strict society, the Medici’s power, and Susanna’s dark history, will their love survive? Benevento Cellini is a renowned artist, much sought after as a sculptor and goldsmith, though he is egotistical, temperamental and boastful. His reputation for anger and violence are as well-deserved as his reputation for creating magnificent artwork. Cosimo de Medici, the second Duke of Florence, is inspired by the example of his prominent Medici ancestors, and is a noted benefactor of the arts. As Cellini’s patron, he is the sponsor of some of the finest works made by the artist. Over the years, Cosimo has ruled his city with patience and an even hand. 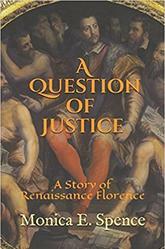 His ideas of justice cut across class lines—most unusual in the Renaissance. This is the story of the relationship between two strong-willed men and how they came to clash over their views of right and wrong, and of what justice means to both men. Revolutionary War re-enactor Mary Banvard must travel to West Point during a thunderstorm to authenticate papers concerning Benedict Arnold’s betrayal of West Point. Poor visibility causes a terrible car accident, and she blacks out. When a masculine voice awakens her, she discovers everyone around her is wearing Colonial clothes. Odd. Who is this guy with the queue and the glasses who looks so worried? Robert Townsend looks like a Quaker shopkeeper, but he is Culper, Jr., General George Washington’s most important spy. When Lady Mary Banvard, his fiancée, awakens following a carriage accident, she begins ranting about missing papers and traveling through Time. Together Mary and Robert stumble upon a threat to their lives, their happiness, and the security of American generations to come. Here's a short list of my novels, short stories, and articles. I'll post updates as they happen! I’m a published author, a forever student with a boatload of Arts degrees, a college professor, a book reviewer, a swimwear designer, costume designer, and fashion historian. All of these experiences have combined with my passion for reading and writing about the historical past of Italy, England and the U.S. I work as an assistant editor for the Compleat Anachronist, a periodical of the Society for Creative Anachronism (SCA) and I review fiction and non-fiction for the Historical Novel Society. As a long-time member of the Romance Writers of America (RWA), I have served as the President of the Long Island, New York chapter (LIRWA). 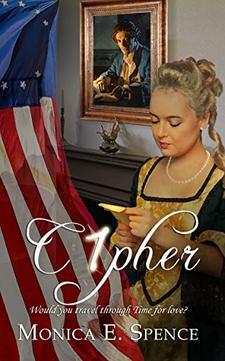 My American Colonial-era Romance, C1PHER, is my first with The Wild Rose Press. 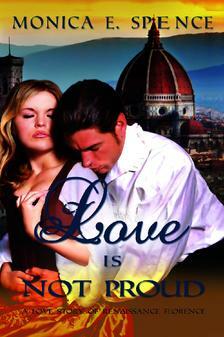 My first novel, Love Is Not Proud is set in Renaissance Italy and is published by eTreasures Publishing. 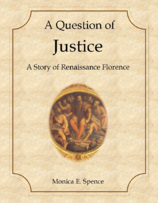 You can find my historical short story, A Question of Justice, and all my other books through the publishers, Amazon, and Barnes and Noble.